Have a question, or something else to discuss? Send me an Email below! Ed Zitron is the founder of EZPR. A National Media Relations Firm focusing on consumer tech startups. I'm a journalist and Public Relations guy living and working out of the Bay Area. I'm also a part-time photographer and founded EZPR. I've worked primarily in the gaming and technology fields, both covering and promoting new software, hardware products, including e-readers, games (obviously), payment systems, and, well, a fair amount of other stuff. I also write occasionally for The Next Web and Inc. Please feel free to get in contact if you have any questions, offers, or interesting discussions you want to have with me. If you would like to call me directly please phone 347-9-ZITRON. 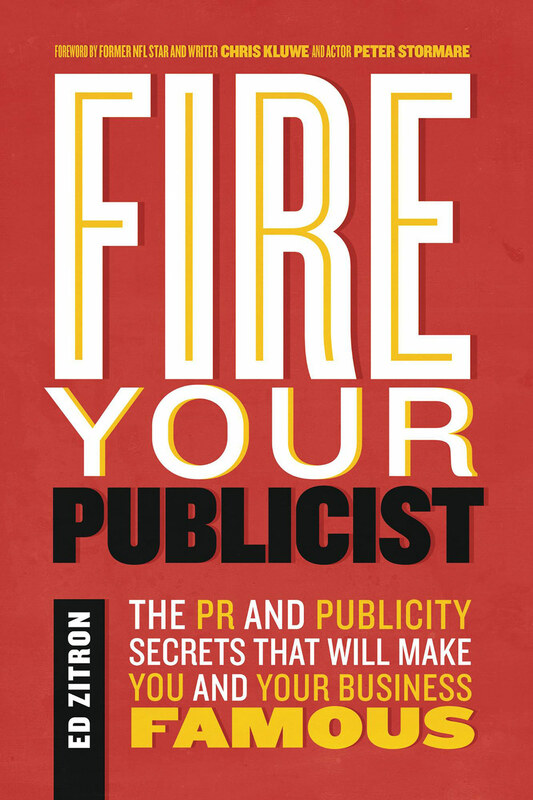 "Fire Your Publicist: The PR and Publicity Secrets That Will Make You and Your Business Famous"
You make your own sales calls. You balance your own books. You answer your own phones. Why not be your own publicist? Industry veteran Ed Zitron’s follow-up to his best-selling public relations bible This Is How You Pitch will show you how to get the same results as a pricey, pushy publicist, without having to spend five figures, as well as how the secrets of PR can change every aspect of your day to day life. I'm the founder of EZPR. Since 2012, EZPR has worked with clients ranging from the top of the Fortune 500 to taking startups from obscurity to global popularity. We don't lie, we don't mislead and we only take on clients we know we can help. That's the EZPR way.